Last week I got two packages of seeds in the mail. This end-of-the-current-season/early-next-season-order was spurred by the arrival of the Plant World Seeds catalog. 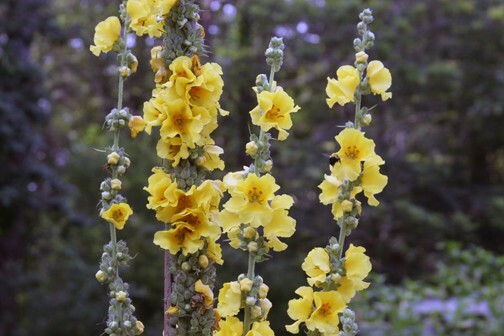 I initially went to their catalog and website to look for Banana Custard Verbascum seeds. I grew this two years ago, and it flowered this past summer… now I’m kicking myself that I didn’t start this biennial this summer. Not growing these Verbascum in 2010 means I have to be without this majestic plant until 2012! This is nothing short of tragic. Plant World Seeds didn’t have this Verbascum, it turns out, but nevertheless I found eight or ten other must-have plants. I ordered Sweet Pea Current tomatoes, Lady Di runner beans, and several other selections. It’s a good thing that I opened the package tonight because I noticed that the Miss Jekyll’s Hellebores and the Angelica ‘Ebony’ need to be sown right away. 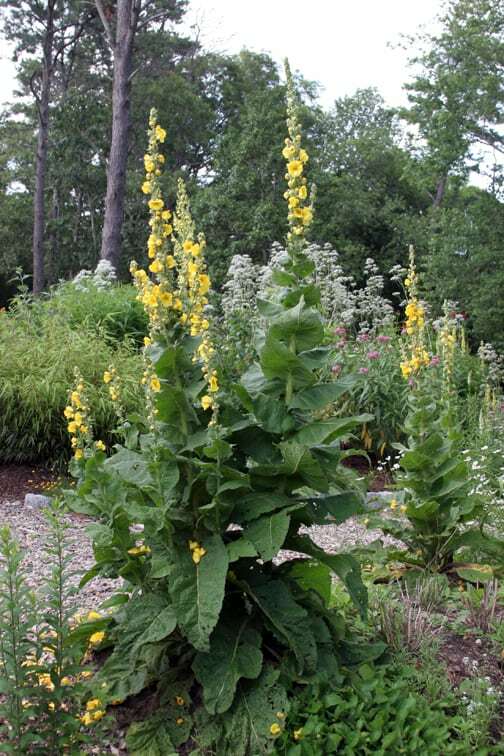 I found the Banana Custard Verbascum at Swallowtail Gardens Seeds. Since I was ordering those, I included some Zinnias, Nicotiana, and two types of Prunella. Next year I hope to rein myself in and focus on assorted groundcover/understory perennials that will spread under taller perennials and shrubs, hence the Prunella. That said, there are several annuals and biennials that remain on my must-start list. Zinnias? I can’t imagine summer without them. It might seem strange to be thinking about seed starting when the current growing season has barely come to an end. But those who are deep-rooted gardeners have come to know that the cycles of planting, tending, harvest and rest are so constant that there is satisfaction and comfort here. We’ve come to appreciate that the ending of one phase leads smoothly and naturally into the next, and each conclusion leads dependably into hope and activation. Gardens teach us that endings are also beginnings. on six-foot tall plants that don't need staking. They're in bloom for about two months, are drought tolerant and add "wow" to any part of the landscape. I love Verbascum 'Banana Custard'!